Hong Kong Visa Extension Advice & Assistance – 100% Free! The Hong Kong Visa Extension Kit is a professionally prepared resource you can rely on to take away the all too-frequent hassle of the Hong Kong visa extension process. 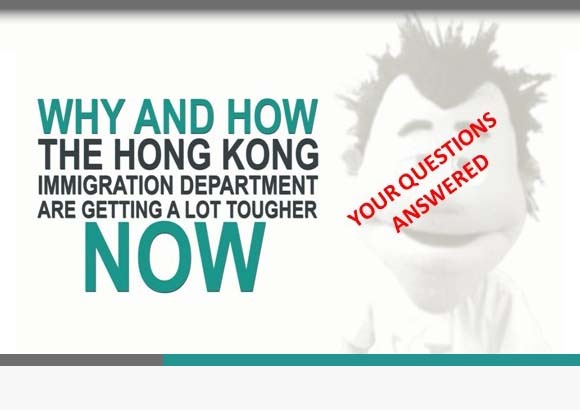 This valuable immigration service contains all of the information, guidance and templates you need to process any kind of residence visa extension for Hong Kong – completely free of charge. The Hong Kong Visa Extension Kit is available only to members of our mailing list, so, sign up now!